Our manufacturer of Triglyceride Reduction Formula™ takes great measures to ensure unparalleled quality. Its 70,000 square foot facility is equipped with state of the art manufacturing instruments as well as three testing laboratories which implement the most rigorous quality control procedures in the industry. Our manufacturer is exceptionally demanding of superior quality throughout every step of the manufacturing process. Each and every raw material which enters the building is inspected for approval. Written Standard Operating Procedures (SOP's) for each aspect of production are meticulously followed to adhere to strict in-process quality control standards during product manufacturing. In the initial stages of production, stringent testing and sampling must be conducted before any further production cycles may continue. Accuracy is an absolute must. Records are kept of each component and the quantity used in every batch of product. Testing laboratories, under the supervision of our in-house Ph.D, precisely monitor the production cycle. 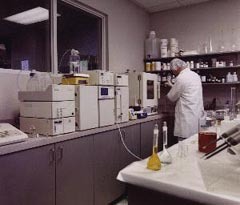 Chemical Analysis Lab carefully checks bioavailability with USP dissolution tests and pH testing while verifying potency with high pressure liquid chromotography (HPLC). This ensures that your supplement will not contain less than 100% of the label claim. The Physical Analysis Lab checks the weight, hardness and thickness for consistency on the tablets. It is this process that guarantees constant integrity of each formulation. 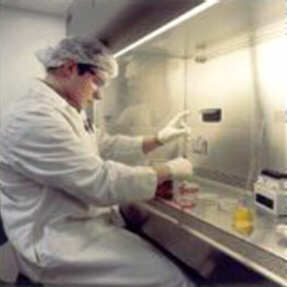 To meet the USP microbiological limit requirements for nutritional supplements in the USP XXIII, the Microbiology Lab conducts microbial testing on all products. The final products are then kept in tightly controlled conditions of light, temperature and humidity for optimal freshness. Our manufacturer takes great pride in our uncompromising approach to providing you with the product which meets, and often exceeds, USP standards. The facility is routinely inspected by the FDA* as well as representative companies from Canada and Europe and we are also proud to be approved as a nutritional supplement manufacturer by the Canadian Health Organization and the Commission of the European Communities. *FDA - the Food and Drug Administration, is a powerful United States government agency that is supposed to make sure "foods are safe, wholesome and honestly labeled" on the American market. Our Triglyceride Reduction Formula™ is certified by an independent laboratory to meet the stringent testing outlined. This ensures that consumers receive the highest quality, contaminant-free product. Triglyceride Reduction Formula™ contains NO yeast, wheat gluten, soy protein, milk/dairy, corn, sodium, sugar, starch, artificial coloring, preservatives or flavoring. © 2001-2009 Reduce Triglycerides.com: Lowering High Triglycerides Naturally with Triglyceride Reduction TGs Formula - A Drug-Free Approach to Elevated Blood Triglycerides. All rights reserved worldwide. This document may not be copied in part or full without express written permission from the publisher. The information on lowering high triglycerides and nutrition provided herein is a general overview on this topic and may not apply to everyone, therefore, it should not be used for diagnosis or treatment of any medical condition. While reasonable effort has been made to ensure the accuracy of the information on reducing triglycerides naturally, Full of Health, Inc. assumes no responsibility for errors or omissions, or for damages resulting from use of the information herein.